Snapchat Not Working On WiFi? Here's The Real Fix For iPhones & iPads! You are at:Home»iPhone»Apps»Snapchat Not Working On WiFi? Here’s The Real Fix For iPhones & iPads! Snapchat isn’t working on your iPhone or iPad and you don’t know what to do. One minute you were sending selfies of your cat to your friends, but now the app won’t work at all! 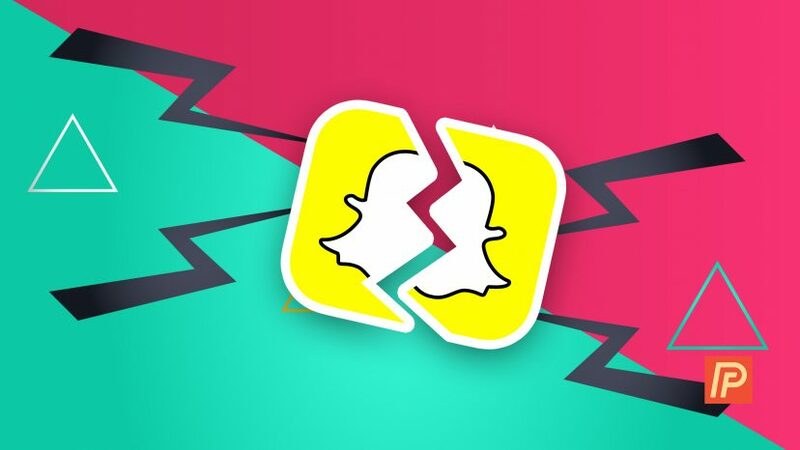 In this article, I’ll explain why Snapchat is not working on WiFi and show you how to fix the problem for good, whether you’re using an iPhone or iPad. Snapchat may not be working on your iPhone or iPad if you haven’t downloaded the most recent app update. Developers are always working to improve the functionality of their app and they release updates to add new features, fix software bugs, and increase security measures to help protect their users. To check for an Snapchat update, open the App Store and tap the Updates tab in the bottom right-hand corner of the display of your iPhone or iPad. Look for Snapchat in the list of Pending Updates and tap the blue Update button next to the app if an update is available. What Should I Do If Snapchat Is Not Working On WiFi? The first thing to do when Snapchat is not working on WiFi is to restart your iPhone or iPad. When you turn off your device the right way, it allows all of the software programs that operate your iPhone or iPad to shut down naturally, which can sometimes fix a minor software bug. To turn off your device, press and hold the Sleep / Wake button (more commonly known as the power button) until a red power icon and the words slide to power off appear on your iPhone’s or iPad’s display. Swipe the red power icon from left to right and your iPhone or iPad will shut down. Wait about a minute, then turn your iPhone or iPad back on by pressing the Sleep / Wake button until the Apple logo appears in the center of your device’s display. Similar to restarting your iPhone or iPad, turning WiFi off and back on again can sometimes fix a minor software issue that may have occurred when you tried connecting your device to a WiFi network. 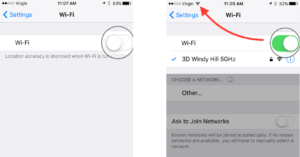 To turn WiFi off on your iPhone or iPad, open the Settings app and tap on Wi-Fi. Then, tap the switch the right of Wi-Fi to turn it off. You’ll know the switch is off when it if gray and the slider is positioned to the left. Wait a few seconds, then turn WiFi back on by tapping the switch again. You’ll know WiFi is back on when the switch next to Wi-Fi is green and the slider is positioned to the right. If Snapchat is not working on your WiFi network, you may want to try connecting your iPhone or iPad to a friend’s network. You can also try connecting to the free WiFi networks at your local library, Starbucks, or Panera. If your iPhone or iPad connects to other networks, but won’t connect to yours, then there may be a problem with your wireless router, not your iPhone or iPad. Try rebooting your router, or contact your wireless provider for additional support. When your iPhone or iPad connects to a WiFi network for the first time, it saves data about how how to connect to that particular WiFi network. If part of that connectivity process changed, or if a saved file became corrupted, it may prevent your iPhone or iPad from connecting to the network. Note: Before forgetting a WiFi network, make sure you’ve written down its password. You’ll have to enter it again when you reconnect to the network! To forget a WiFi network, begin by opening the Settings app and tapping Wi-Fi. Then, tap the information button to the right of the WiFi network you want your iPhone or iPad to forget. Finally, tap Forget This Network, then Forget when you receive the confirmation alert. To reconnect to the network your iPhone or iPad has just forgotten, tap on it in the list below Choose A Network… and enter the password if applicable. When you reset the network settings on your iPhone or iPad, any saved data on your device’s WiFi, VPN, and Bluetooth settings will be erased from your device. It’s often difficult to track down the exact source of any software problem on your iPhone or iPad, so we’re going to delete everything that could be related to the problem. Note: Before you reset the network settings on your iPhone or iPad, make sure you’ve written down the passwords to your WiFi networks because you’ll have to reenter them after the reset is complete. To reset network settings, open the Settings app and tap General -> Reset -> Reset Network Settings. Then, enter your passcode and confirm the reset when you see the confirmation alert on the display of your iPhone or iPad. The reset will begin, and your device will reboot once it’s complete. If you’ve made it this far, but Snapchat still is not working on your iPhone or iPad, the problem may lie within the app itself, not your device’s connection to WiFi. To fix a potential software bug within the app itself, try uninstalling and reinstalling the app. To uninstall Snapchat on your iPhone or iPad, gently press and hold the app icon until your device briefly vibrates and your apps start to wiggle. To uninstall Snapchat, tap the little “X” in the upper left-hand corner of the app icon and tap Delete when asked to confirm. 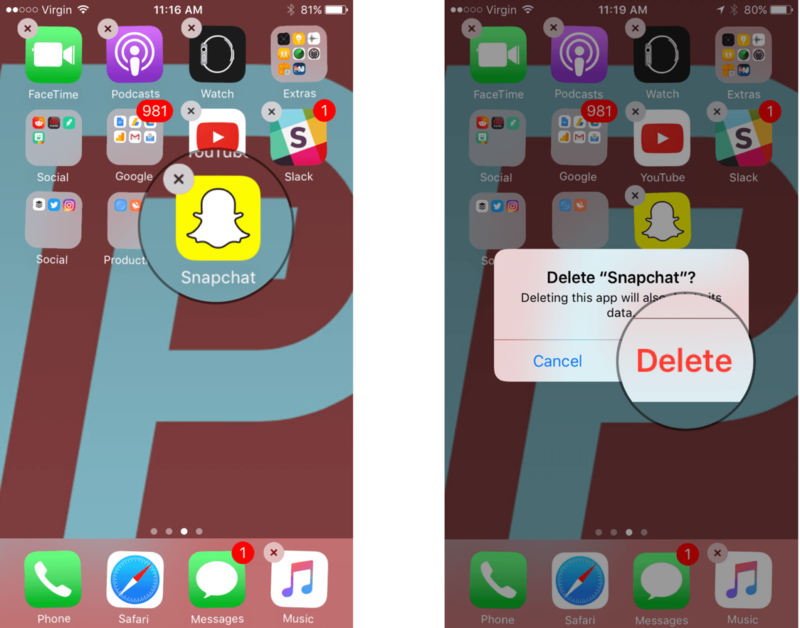 Don’t worry — your Snapchat account won’t be deleted if you uninstall the app on your iPhone or iPad. To reinstall Snapchat, open the App Store, tap the Search tab at the bottom of the screen, and type “Snapchat” into the search box. To the right of Snapchat, tap Get then Install, or tap the cloud icon with a blue arrow pointing down to reinstall the app. If nothing has worked for you so far, you may want to check if Snapchat is not working for other iPhone and iPad users. Sometimes, apps experience major crashes, servers go down, or developers are doing routine maintenance, all of which may limit your ability to use Snapchat on your iPhone or iPad. To check if other people are experiencing the same problem, search Google for “is Snapchat down” and check the various user reporting websites for common issues. If Snapchat is not working on WiFi for many other users, you may just have to be patient until the support team can solve the problem. Selfie Celebration: Snapchat Is Fixed! You’ve successfully fixed Snapchat on your iPhone or iPad and you can start sending selfies to your friends once again. Although there isn’t a Payette Forward Snapchat account, we hope you’ll share this article on other social media platforms so your friends and family can know what to do when Snapchat is not working on WiFi. Thanks for reading, and remember to always Payette Forward. Previous ArticleGboard Not Working On Your iPhone? Here’s The Real Fix! Next Article Clear Browser History On iPhone & iPad: The Fix For Safari & Chrome!